Teachers and instructors of all kinds use the library in important ways. The staff of the Rowan County public school system are especially important to us, as are their students; we want all the people who go to school in our region to have the best opportunities possible, so your Rowan County Public Library is glad to support public K-12 educators. In addition to the online and digital resources we provide, including our dedicated pages about college and adult education, we try to maintain open communication and a good working partnership with our local educational institutions. 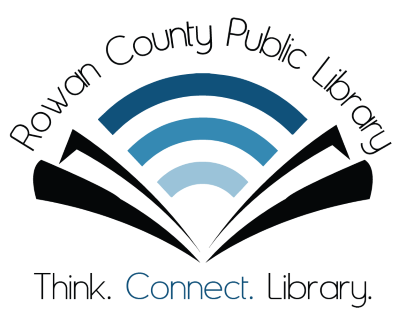 If you’re a Rowan County public school teacher, you can get a special library card to use for your classroom; teacher cards have a slightly higher limit on item checkouts, so you can borrow more books, audiobooks, and periodicals specifically for your programs. Because we know that lesson plans often change on the fly and managing a classroom can mean unexpected challenges, our teacher cards also come with a grace period for most material types. That means returning a book or movie a few days late won’t result in overdue fines right away, since you’re using them for educational purposes. Just remember that any potential fines accrued during your grace period are charged all at once, when it ends, so you’ll still need to be responsible and return items as soon as you can! Patrons with a teacher card can also use that account to publish their bookbags as book lists in our catalog. That means you can pick and choose from our materials to design customized reading lists for students! Teacher book lists are public, so you can simply give the link to your students and let them research or reserve library items directly from your list. If you’re planning something for summer or winter reading or for a program throughout the school year, get in touch with us about it and we’ll work with you on those projects. We might be able to lend items to your school library, accommodate an interlibrary loan, or lend duplicates of popular items according to your needs. RCPL holds its own classes, too: Lessons are available on software and apps designed just for schoolteachers, and we can give you a hand learning about up-and-coming trends for schools as well as current technology. We’re always trying to add new programming and technology that assists educators, so if there’s something we can do for you, be sure to let us know! To obtain a teacher card, speak with any library staff member at our front circulation desk to receive an educator form. You’ll need your current teacher ID, and you must have a normal adult library account in good standing. Please note that we offer teacher cards only to full-time Rowan County public school teachers; teachers from other counties, substitute teachers, teacher’s aides, retired teachers, and student teachers are not eligible for these privileges (sorry! ).